PSU or practicing at Bar or Judicial Services. 2 Year (MBA or equivalent) Post Graduation Degree or Diploma with specialisation in Marketing / Sales / Retail. (The Institute should be approved by Govt / Govt Bodies / AICTE) ORGraduation (recognized / approved by Govt., Govt. bodies / AICTE) with One year Diploma/ Certification in Banking / Finance before joining any private Bank/ Public Bank. 4 Years Work Experience in Sales / Distribution of Wealth / Mutual Fund / Insurance Products in Banks, Mutual Funds, NBFC's etc. 2 Years Work Experience in Sales / Distribution of Wealth / Mutual Fund / Insurance Products in Banks, Mutual Funds, NBFC's etc. Cut Off Deadlines for Wealth Products / Mutual Fund / Insurance Application, Upload / Download of feeds for NAV's from the RTA's and back end operations pertaining to Wealth Products / Mutual Funds / Life Insurance. 3 Years Work Experience in working on Wealth Management Solutions for processing Wealth Products / Mutual Fund / Insurance Applciations , etc. Meeting Cut Off Deadlines for Wealth Products / Mutual Fund / Insurance Application, Upload / Download of feeds for NAV's from the RTA's and back end operations pertaining to Wealth Products / Mutual Funds / Life Insurance. Online payment of non-refundable application fee / Intimation charges along with the applicable GST and Bank transaction charges have to be borne by the candidates. The selection process will comprise of online test, for the posts the posts in Scale I, Scale II, and Scale III in disciplines of Legal, Wealth Management Services - Sales & Wealth Management Services - Operations followed by Interview of shortlisted canddiates. However, if the number of eligible applications received is large/less, then Bank reserves the right to change the shortlisting criteria / interview process. Bank may, at its discretion, consider conducting of Descriptive / Psychometric Test / Group Discussion for different scales. i. 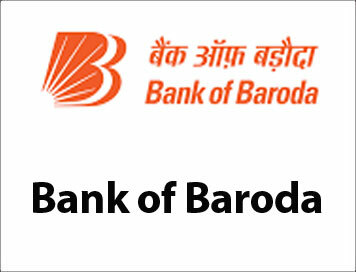 Candidates are required to apply Online through website www.bankofbaroda.co.in. No other means/ mode of application will be accepted. ii. Candidates are required to have a valid personal email ID and Contact No. It should be kept active till completion of this recruitment project.Bank may send call letters for Online test, GD, interview etc. through the registered email ID. In case, a candidate does not have a valid personal email ID, he/she should create his/ her new email ID before applying Online. Under no circumstances, he/she should share/ mention email ID to/ or of any other person. iii. Candidates should scan their photograph and signature, ensuring that both the photograph (4.5cmX3.5cm) and signature adhere to the required specifications as given in Annexure I to this Advertisement. iv. Signature in CAPITAL LETTERS shall NOT be accepted. v. Carefully fill in the necessary details in the Online Application Form at the appropriate places and submit the same Online. vi. Use of special characters while filling the form will not be allowed. In case the candidate is unable to fill in the application form in one go, he/ she can save the data already entered. When the data is saved, a provisional registration number and password will be generated by the system and displayed on the screen. Candidate should note down the Provisional registration number and password. An Email & SMS indicating the Provisional Registration number and Password will also be sent. They can reopen the saved data using Provisional registration number and password and edit the particulars, if needed. This facility will be available for three times only. Once the application is filled in completely, candidate should submit the data. vii. Candidates are advised to carefully fill in the online application themselves as no change in any of the data filled in the online application will be possible/ entertained. Prior to submission of the online application candidates are advised to use the ‘SAVE AND NEXT’ facility to verify the details in the online application form and modify the same if required. No change is permitted after clicking on FINAL SUBMIT button. Visually Impaired candidates will be responsible for carefully verifying/ getting the details filled in, in the online application form properly verified and ensuring that the same are correct prior to submission as no change is possible after submission. viii. There is a provision to modify the online application prior to submission only. Candidates are requested to make use of this facility to correct the details in online application, if any. ix. The name of the candidate and his/ her father/ husband etc. should be spelt correctly in the application as it appears in the certificates/mark sheets/photo identity proofs etc. Any change/ alteration found may disqualify the candidature. x. An email/ SMS intimation with the Registration Number and Password generated on successful registration of the application will be sent to the candidate’s email ID/ Mobile Number specified in the online application form as a system generated acknowledgement. If candidates do not receive the email and SMS intimations at the email ID/ Mobile number specified by them, they may consider that their online application has not been successfully registered.